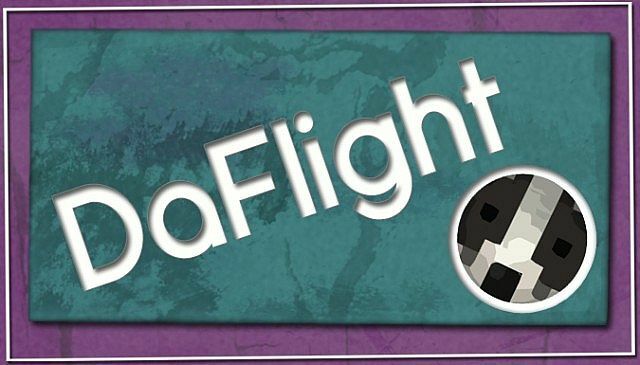 The DaFlight Mod is a small liteloader mod available for the latest patch of Minecraft. The mod is very useful and adds in many customisable controls that you can access through the mods menu. Brightness, the speed of your sprint, and how fast you fly – all of these are changeable. So what are you waiting for, install this mod today and enjoy it on servers and client. There is no real way to use the DaFlight Mod you first of all need to download it with Minecraft Forge and then you can load up your latest save game. When loading all of the mods features should be automatically enabled. Fly Mod – a fly mode offering customisable speeds, controls and more. Sprint Mod – a sprint mode offering customisable speeds, controls and more. FullBright – lights everything to full brightness. 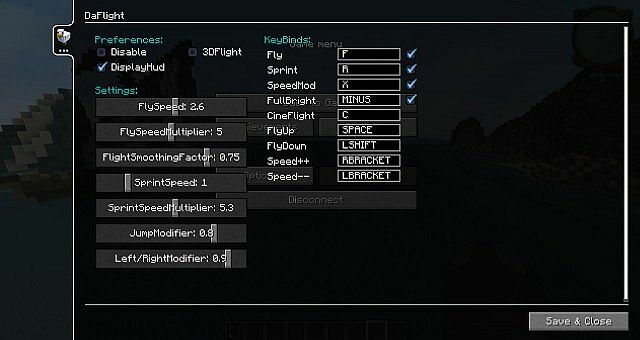 Compatibility – DaFlight is compatible with Forge, Optifine, and most other mods. Next, download the DaFlight Mod and drag and drop the .zip files to your desktop.